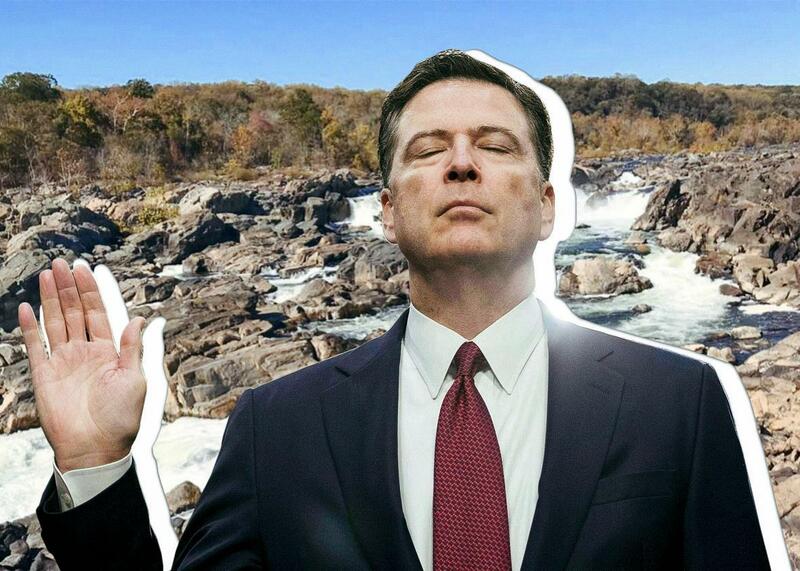 Comey went for tranquility in his first Instagram post. Photo illustration by Slate. Photos by Brendan Smialowski/AFP/Getty Images, James Comey/Instagram. Former FBI director James Comey posted for the very first time on Instagram on Friday, shortly after Michael Flynn pleaded guilty to lying to the FBI during the bureau’s investigation into whether the Trump campaign had colluded with Russian actors. Comey was in charge of the Russia investigation until Trump fired him in May. The president claimed his decision was based on the fact that Comey was “not able to effectively lead the bureau,” though many argued that Trump was simply trying to hamper efforts to look into possible collusion with Russia during the 2016 presidential election. Since his ouster, Comey has become fairly active on his Twitter account, posting similar pictures of picturesque landscapes and inspirational quotes, some of which may or may not be subtweets. The timing of his Instagram debut, however, is especially pointed. With Flynn now admitting that he lied when talking to the FBI about two conversations he had with Russian ambassador Sergey I. Kislyak, Comey might be taking a small victory lap on the social media platform.